Zack explains that the two pairs of magnets align up perfectly when the screen of the Mi MIX 3 is closed. Xiaomi Mi MIX 3, the current flagship device from the Chinese smartphone maker and electronics giant, comes with an interesting sliding mechanism. This mechanism works by allowing users to pull down the screen to reveal the dual front camera array. This is different from the motorized mechanisms that we have seen in the past from the likes of Oppo and Vivo. Considering that the mechanism has a somewhat manual factor to its usage along with the slight nostalgia of old phones with sliding keyboards, it seems slightly more reliable than other options currently in the market. According to a report, the entire mechanism depends on two pairs of “strong neodymium magnets” that are responsible for holding the screen of the device in two positions. The first position when it is pulled down and the second one when it is pulled up. The same pair of magnets is the reason for the spring-like feeling while the screen is pulled down or back up. We get a closer look at how the mechanism works with the help of a tear-down of the device from Zack from JerryRigEverything. This is not the first time when Zack has taken apart a smartphone to take a peek at the internals or even to modify the back of the device to give it a transparent look. According to the teardown video, Zack explains that the two pairs of magnets align up perfectly when the screen of the Mi MIX 3 is closed. While pulling the device down, the magnets are pushed apart from each other. The mechanism also comes with a ribbon cable which hooks to connect the screen from the rest of the device. 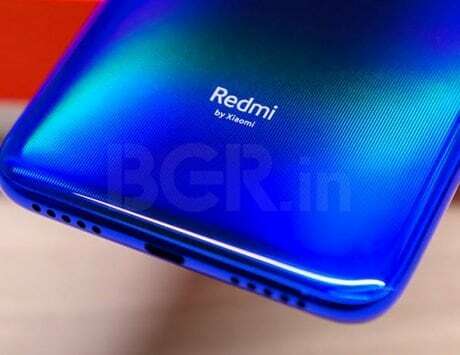 To make the connection happen, Xiaomi has added a hole in the motherboard of the device for the ribbon to pass through. The hole ensures that there is as less amount of wear and tear as possible while the sliding happens The company claims that the device can support up to 300,000 slides but according to a report by GSMArena, it looks like it can go up to 600,000 slides.